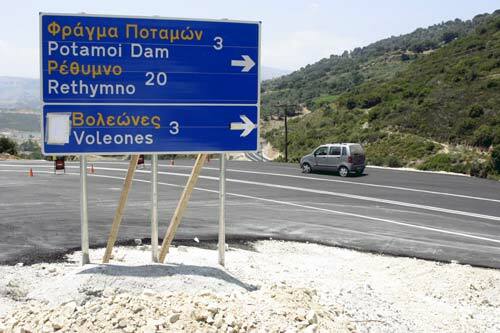 You may remember me writing about the new dam that is designed to provide water for Rethymnon. 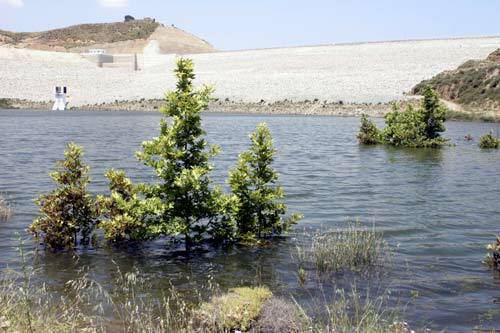 Well now, at least for about a month or two, the new dam is closed and water is rising. It is rising slowly so that they can continue rearranging the roads that will soon be flooded. Not just the road through the valley to the Amari, but also roads that turn off toward villages. 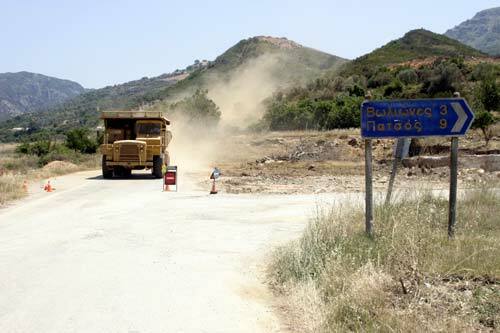 The new road through the valley, the one that I mostly take up to the Amari has now been diverted quite spectacularly. Now the road goes right across the top of the dam and along a new higher road, at least above the waterline on the opposite side of the valley. Here you see the road right along the top of the dam wall. At the other end of the valley, on the Amari side, the old road through the valley is closed and you are directed right to use the new road. 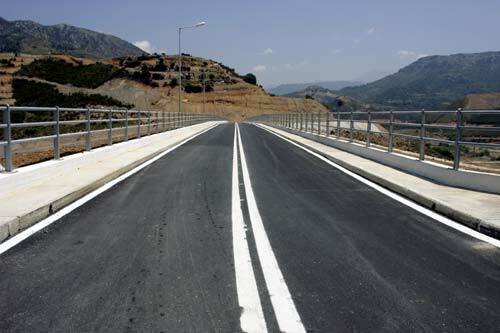 There is still a bit more road building to complete, but the dam is finished and when it fills it will certainly be the biggest lake in Crete, much bigger than Kounas Lake which is currently the largest.